Child of a Hidden Sea is the story of Sophie Hansa, a 24-year-old marine videographer whose search for her birth family lands her on another world. Released in 2014 to rave reviews, Child of a Hidden Sea is the first in the Hidden Sea Tales trilogy. The sequel, A Daughter of No Nation, was released in 2015. Take me to an Excerpt! It’s rare and refreshing, then, to encounter a book where the fantasy world and its denizens actively do not want the protagonist, and are invested in keeping them out. Sophie is sympathetic and genuine, and her motivation to learn more about her origins and her family comes across as wholly believable. Her insecurities when compared to her siblings – her fierce half-sister Verena, and her genius adopted brother Bram – only enhance Sophie’s sympathetic nature, as she struggles with her own feelings of inadequacy and confidence. Too, I loved the thread of family throughout the book – for all her insecurity, the bond between Sophie and her siblings is strong and grows more powerful throughout the book, just as she discovers who she really is and why she has been sent away by her birth parents. Sophie doesn’t know it yet, but she has just stepped into the middle of a political firestorm, and a conspiracy that could destroy a world she has just discovered…her world, where everyone seems to know who she is, and where she is forbidden to stay. But Sophie is stubborn, and smart, and refuses to be cast adrift by people who don’t know her and yet wish her gone. With the help of a sister she has never known, and a ship captain who would rather she had never arrived, she must navigate the shoals of the highly charged politics of Stormwrack, and win the right to decide for herself whether she stays in this wondrous world…or is doomed to exile! 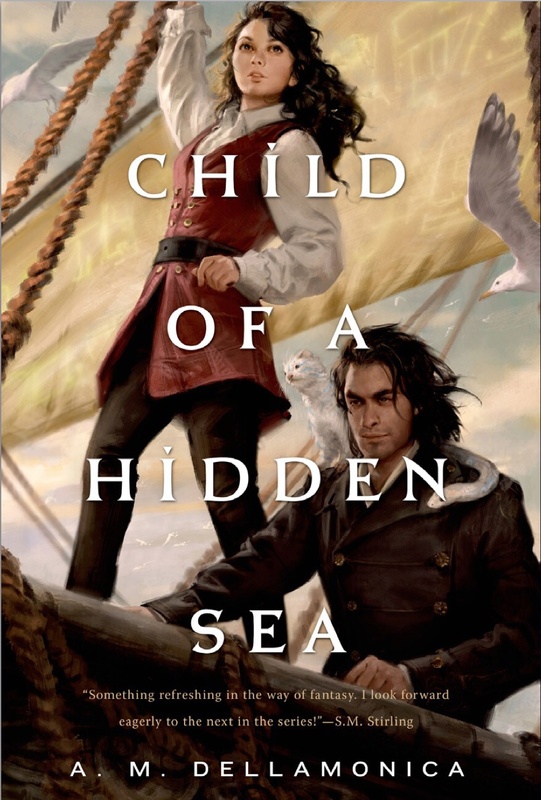 Just finished reading “Child of a Hidden Sea”, and I’m glad to see its part of a trilogy. Am looking forward to reading more about the world of Stormwrack and the happenings of Sophie, Bram and Verena. I’m so pleased to hear you’re looking for to more!